11th Bn. Argyll and Sutherland Hdrs. Officers of 11th Batallion Argyll and Sutherland Highlanders at the opening of the Third Battle of Ypres, 1917. RLM is front row, 2nd from left. George F. MacLeod, later the Very Reverend Lord MacLeod of Fuineray, is at right of Col. Wilson, our C.O. "Tobermory", i.e. 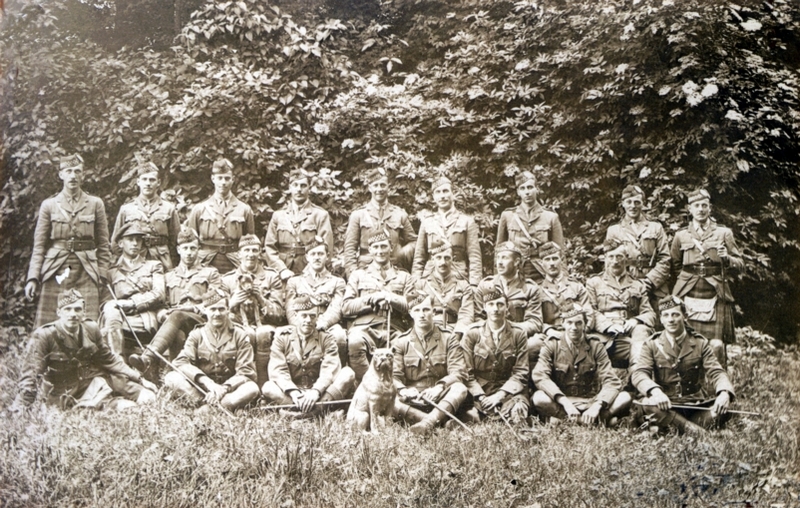 Charles A. MacLean, is 3rd from the left of the C.O. David Robertson (later Sir), M.P. for Caithness (died 1968) is back row, on left as you look at the photo, end man.